Rima Khalaf, who heads ESCWA, resigns following criticism over agency’s report accusing Israel of apartheid. 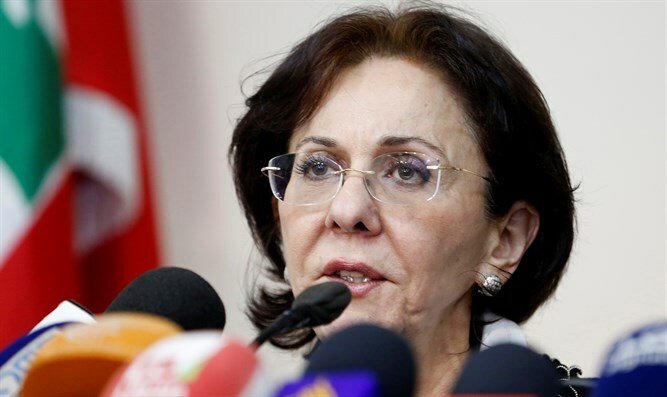 Rima Khalaf, who heads the United Nations Economic and Social Commission for Western Asia (ESCWA), on Friday resigned from her post over the agency’s report accusing Israel of having established an “apartheid regime”, The Associated Press reported. The report, which was published earlier this week, had drawn criticism from UN and Israeli officials, as well as from the United States’ Ambassador to the UN, Nikki Haley. The report was co-authored by former UN Human Rights Council Special Rapporteur, Richard Falk, who during his tenure repeatedly attacked Israel with expressions of hatred and disdain. Falk in the past praised the Hamas terrorist organization and compared it to the French resistance during World War 2, and has also compared Israelis to Nazis. Khalaf announced her resignation at a hastily-arranged press conference in Beirut, according to AP. Khalaf has a history of taking advantage of her position by making unsubstantiated comments against Israel. Her resignation came hours after UN Secretary-General Antonio Gutteres asked that the report be removed from the agency's website. Gutteres had earlier this week distanced himself from the report. The UN chief accepted Khalaf’s resignation, his spokesman said, adding that the report was published without consultation with the UN secretariat. "This is not about content, this is about process," the spokesman Stephane Dujarric told reporters in New York on Friday. "The secretary-general cannot accept that an under-secretary general or any other senior UN official that reports to him would authorize the publication under the UN name, under the UN logo, without consulting the competent departments and even himself," he added.